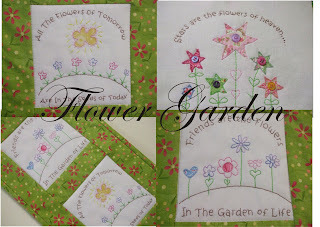 Flower Garden is my latest pattern release. 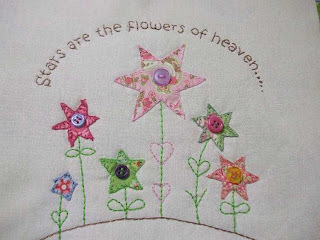 It is a lovely Set of 3 Stitcheries with just a touch of applique. 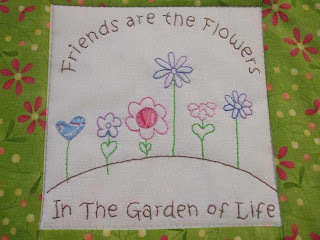 Each stitchery measures 6 1/2 Inches square and can be used for a vast array of projects. 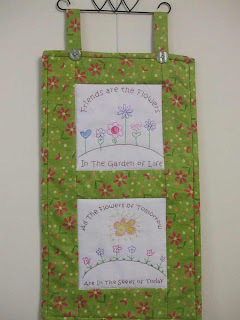 I have made a wall hanging out of just 2 and I also intend to make a table runner with all 3. I will also be offering a weekly special to my loyal blog readers. 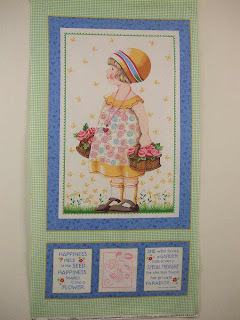 This week is a Mary Engelbreit Panel from her Basket of Flowers Range. Postage is included in the price and it is available to both local and overseas buyers. Click HERE for further details. Not long now to the first FREE pattern release on The Among The Gumtree's Blog. There are 9 gorgeous projects over 9 weeks so go through that stash and pick out some fabrics in readiness. I am busy finishing some designs for release at the Royal Hobart Show and also getting ready for the Oatlands Spring Festival which we will also be attending. Fiona your Flower Garden is lovely!!! Love the sentiments too. And that Mary panel - oh my. I have all her magazines - broke my heart when they ceased publication. 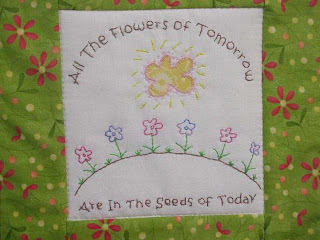 I love the fabric you used to your stitchery too - it's perfect! Love and hugs in abundance!